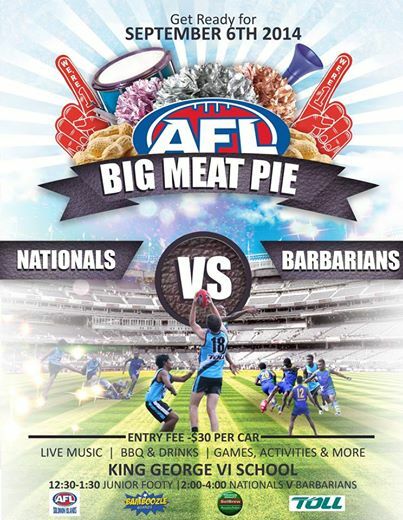 While this weekend sees the annual ‘Big Meat Pie’ footy carnival – the event will be tinged with sadness at the news of the passing of former Regional Assistance Mission to the Solomon Islands (RAMSI) Special Coordinator Graeme Wilson. Graeme Wilson was born in 1953 (December 15) and played 14 VFL Games for South Melbourne across 1974-76. His calling outside of and post football saw him become a ‘career diplomat’ – includig landing in the Solomon Islands where the 2006 elections had seen parts of the capital city, Honiara, burnt to the ground. Head of the RAMSI mission from Jan 2009 he oversaw the successful conduct of the 2010 local elections. 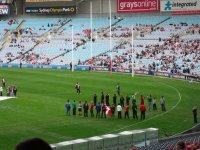 However he still loved his footy and was helping coach Auskick programs (now adapted as SolKick) – and in 2010 he oversaw his Solomon Sharks making their way to Tonga for their international debut at the 2010 Oceania Under 16s tournament. Wilson had seen a benefit in using the Auskick and AFL programs to help build a sense of ‘nation’. We reported on his finishing up in the role back in 2011. 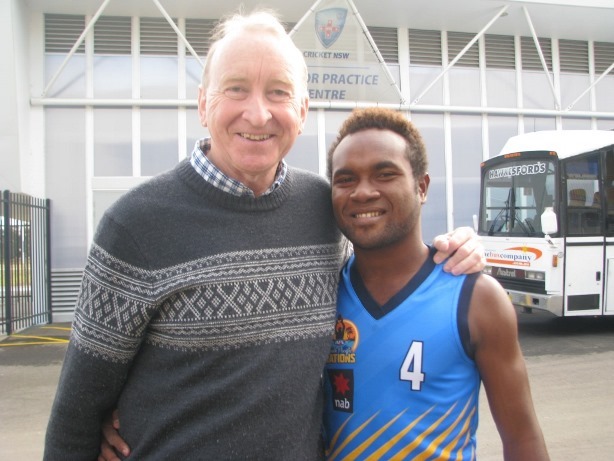 (Above) Graeme Wilson and Solomons 2011 South Pacific representative Anthony Joel at Blacktown - 2011. Subsequently he found himself in South Africa as Australia’s High Commissioner and it is there, in Pretoria, that he passed on Tuesday after a short illness. As South African Presdient Jacob Zuma stated "High Commissioner Wilson was a remarkable person, a true gentleman and ambassador for his country.” I only communicated with him over a brief period but can reiterate that he was certainly a gentleman and massively proud of his Solomon Sharks - condolences to the Wilson family. Just prior to IC11 I exchanged emails with Graeme - I'd just run articles about the South Pacific side in the NAB U16 nationals and in particular about Anthony Joel. "I actually drove up from Canberra to Sydney with my wife to watch Anthony play the last game against the World team. He was more than a little surprised when I gave him a pat on the back in the warm-ups. It was great to catch up with him and we had a good chat before and after the game. It was a close, tough match but, as you know, the World team came home strongly to just get over the line. Anthony did some good things and gave his all throughout the match. The selectors told me had done well throughout the week, especially in the first game against Tasmania where he was in the best and kicked a goal. I have attached a couple of photos, one of me with Anthony just before the game and the other of him listening to the coach at three quarter time. 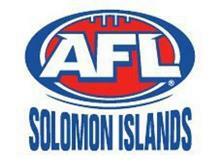 It is great that four Solomon Island boys have now had the chance to play in South Pacific squads in Australia over the past year - Freddie Una, Junior Joel, Lucas Sili and Anthony Joel - in addition to the Solomon Sharks participation for the first time in the Oceania Cup last year in Tonga. " I've attached the photo of Graeme and Anthony to the article.